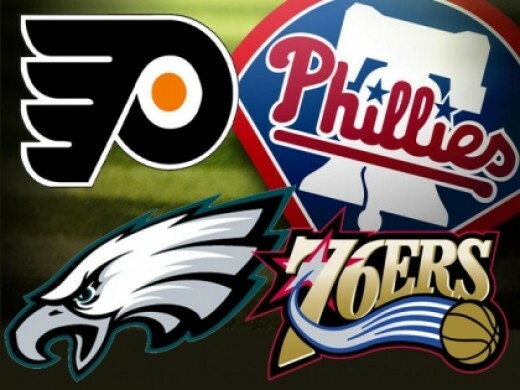 Philadelphia, home to the Eagles, Phillies, Flyers, and Sixers, is more than just a sports city in Pennsylvania. It is also more than a great city filled with history of the founding of this country. Its nickname, "The City of Brotherly Love," is belied by the recent spike in the murder rate—the deadliest since 2007—according to a recent article in the Philadelphia Inquirer, the major newspaper for the city. It is the Greek word which concerns us in this article. Philadelphia (φιλαδελφία) is used six times in the NT, and its adjectival form once more. One of the places the word is used is in Peter's Second Epistle (2 Pet. 1:7), where we are told to add "brotherly kindness" to our godliness. Brotherly kindness is something different from godliness? Wouldn't you think it should be an aspect of godliness? However, that being said, there is no escaping the fact that brotherly kindness is something we are supposed to be consciously adding to our character traits as listed in 2 Peter 1:5-7. In Paul's first epistle, which was to the Thessalonians, he states "But as touching brotherly love ye need not that I write unto you: for ye yourselves are taught of God to love one another." (1 Th. 4:9) But, Peter writes that we are to add this quality (2 Pet. 1:7), implying that we need to know something about it. However, in Peter's first letter, he states, that (we) "...have purified your souls in obeying the truth through the Spirit unto unfeigned love of the brethren..." (1 Pet. 1:22) as if it is something that happens automatically. Is it something that happens automatically? Or, is it something that I must do? This is the beginning point of the passage after which we are told to add certain qualities to our faith. We have been given "everything" we need, therefore add. He writes it in the form of a command, and tells us what brotherly love might look like—the preference of others over oneself. What does preferring one another look like? The writer of Hebrews tells us to "let brotherly love continue" (13:1). The word used for continue is most often translated "abide." Again, we have a command concerning this type of love. Jesus tells us that a proof of our discipleship is the love we have for each other (John 13:35). He also tells us that His love is the standard by which we measure the love we are to have for each other (John 15:12). I don't know about you, but I have often found that there are some brothers who test my love far beyond anything I am able to produce on my own. It is in this place where Peter's admonition to add "brotherly kindness" finds its reality on this plane.